Hands on access to new disruptive technology, experienced staff and organised technical training and education. The Digital Fabrication Lab (FabLab) is an advanced making facility. We provide students and staff with access to state-of-the-art equipment such as CNC mills, laser cutters,3D printers and much more. We also manage the Forbo Model Making Space where you can assemble and store you models and materials. We’re here to help bring your designs to life. A space where ideas and technology come together to create outcomes you can touch and feel. Our facilities are open to all students and staff from the Faculty of Architecture Building and Planning; both undergraduate and postgraduate. You can submit fabrication jobs to all machines 24 hours a day, 7 days a week, via our online submission system. Your job will then be process by experienced staff who will notify you when your job is ready to collect. We are open every weekday from 10am until 4:30pm for job collection. We provide a range of training and education through the online Training Centre and Weekly Events to help you learn about our facilities and how to use them. Simply follow the instructions for the machine you are interested in on the Services page of this website to get started. Have you done your Level 0 & 1 inductions yet? Complete them at the Training Center. Learn about how to setup laser cutting files and about the machines we use. We offer a range of commercial services including design, fabrication and access to a large array of equipment. Our friendly technical staff can work with you through the entire process. The FabLab is a Digital Fabrication Bureau service providing access to state-of-the-art equipment digital fabrication equipment. You can submit fabrication jobs to all machines 24 hours a day, 7 days a week, via our online submission system. Your job will then be processed by experienced staff who will notify you when your job is ready to collect. We are open every weekday from 10am until 4:30pm for job collection. If you have a desire to create we want you to have the opportunity to access and use equipment yourself as quickly and easily as possible in all the MSD Makerspaces. To achieve this we have developed a three tier safety induction system that is easily tailored to the varying safety risks of each area. Meaning you get access quickly while still ensuring a safe environment for everyone. You only need to complete the higher tier inductions if you need access to higher risk equipment. To get swipe access to the MSD Building and Baldwin Spencer Building you must agree to the conditions of use set out in the Level 00 – MSD Online Building Induction. This induction introduces and assesses your understanding of general safety principles and procedures that must be adhered to in all ABP Makerspaces. If you want access to any of these spaces you must successfully complete the Level 01 – Safety Induction (Online). This in person safety induction provides a tour of all ABP Makerspaces demonstrating safety procedures and features such as emergency stop buttons and fire extinguishers. You will also learn basic safe use of hand tools allow you to book equipment like power drills and hand saws. Completing this induction will grant you access to the advanced hand tools in the Forbo Model Making Space, the Robotics Lab (G23) and the Machine Workshop (G24). These in person safety inductions are specific to machines with higher safety risks, such as power tools and the industrial robots. After completing the Level 03 induction for each machine you will have access to operate that machine yourself. Level 03 training is provided individually for each machine so that you only need to spend time training for the tool you want to use. If you want access to others simply complete the Level 03 for that machine. Attend a Level 03 – Safety Induction by dropping into the Machine Workshop Monday-Friday from 1pm - 4.30pm. The training will be conducted by the workshop staff on duty. Fablab stocks materials available to students that should be stated in their Rhino file. For safe handling and disposal please refer to the specific MSDS Located on the Workshop website. CANNOT FIND THE RIGHT MSDS OR HAVE A NEW MATERIAL? 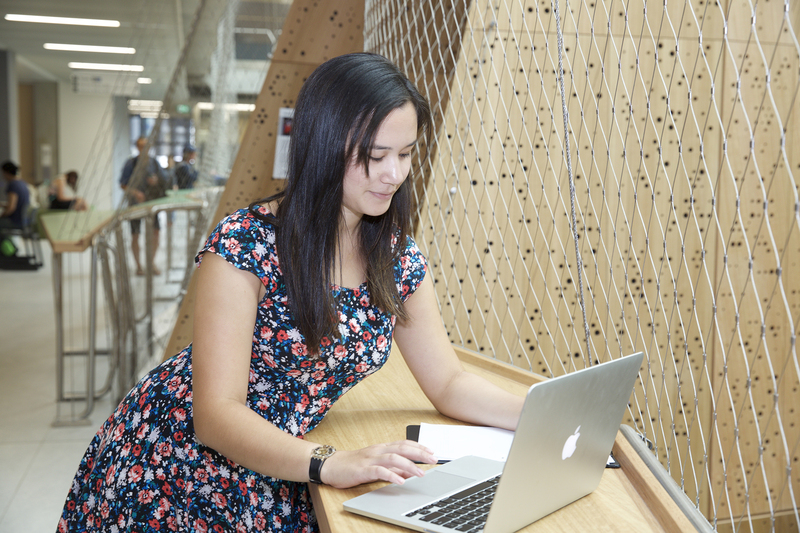 The full library of training information for all making and design equipment in the Melbourne School of Design is provided in the Training Centre. The FabLab provides a range of training options to help you learn how to use equipment and integrate technologies into your projects. If you have never used a technology before and are keen to learn, we suggest you work through each type of training in the order below. If you follow the training in this order, you will gradually learn more about the technology. Video tutorials and guides to help you understand and use the tech in the FabLab and MSD Maker Spaces are provided at the online Training Centre. Each process is broken down into bite-sized steps. Follow all the guides for a broad overview, or get help with a particular step. The catalogue will continue to grow, so keep an eye out for new content. At the beginning of semester a range introductory sessions are scheduled in FabLab. Come along and learn about the fundamentals, such as how to setup and prepare laser cutting files, software basics and how to submit a 3D print. No previous experience required. If you want to learn advanced techniques and processes to extend the possibilities of each technology, these are the sessions for you. Each week a range of sessions will be scheduled - each focusing on a particular technique or skill. You can come to one session or all to get a detailed understanding of the tech. For a full list of sessions, check the events page. Book a consultation with the FabLab's experienced staff to get help with complex technical challenges specific to your project. Before making a booking, it is expected that you have completed the Introductory and Expansion sessions and attempted to resolve the problem independently. The FabLab is located on the ground floor of the MSD building, next to the Eastern entrance and opposite the Architecture, Building and Planning Library. The FabLab is accessible to all students who have completed a minimum of Level 01 (Online) Induction. There are so many cool tools, where do I start? There is a lot of online content for all the tools and services we provide. We suggest reading up on the information we have provided for you and use it as a starting point. Further information can be found on the manufacturer's website or other forums which might help with more specific information about each tool. The FabLab is located behind the Model Making Space. Students can come to the FabLab for general enquiries and model pick-up during its open hours. To collect completed fabrication jobs and purchase model-making materials the FabLab office (G18 located in the Model Making Space) is open from 10am – 3pm daily. The FabLab will be closed on the public holidays over Easter/Anzac Day - Friday 19th, Monday 22nd and Thursday 25th. Please plan for longer turnaround times on fabrication jobs. The NExT Lab, Robotics Lab and Machine Workshop may also have altered opening hours - please check with those spaces for opening hours.